Sunday was another great day to be an Olympia Spartan! 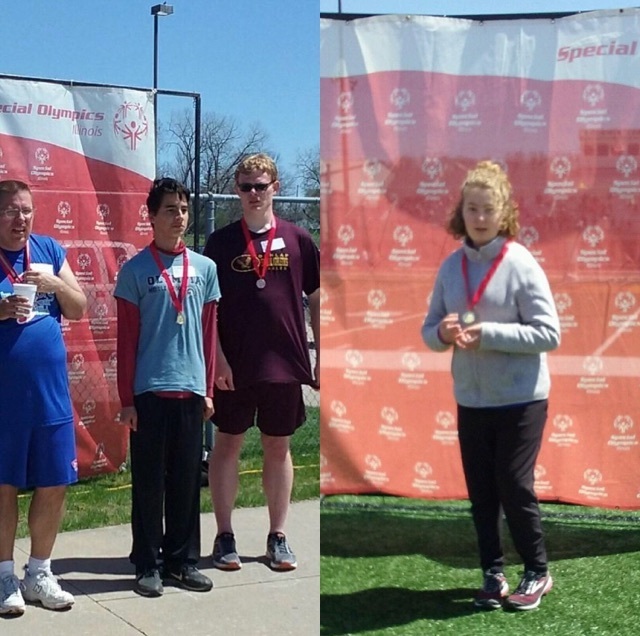 Our OMS Special Olympics Athletes competed over the weekend at the Regional Special Olympics track games at East Peoria. Our very own James (7th grade) and Dakota (8th grade) brought home some impressive hardware, yet again! Dakota earned a Silver Medal for the 100M run and a Gold Metal in the Standing Long Jump. James earned a Gold in 400M run and a Gold Medal in the Running Long Jump. Congrats you two! We are very proud of you!